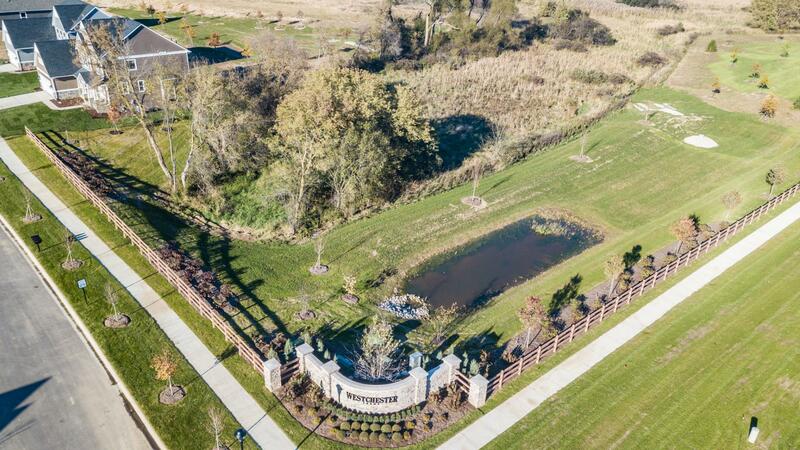 Move in ready home on a premium cul du sac walk-out homesite! The Yateley offers impressive 2 story foyer and great room. Large open floor plan with hardwood floors and gas fireplace with slate surround. Luxury kitchen complete with granite countertops, 42 Maple Merillat cabinets in Mist, recessed lighting, Island and custom 2 tone paint. Upper level features spacious master suite with soaker tub and separate tiled shower and dual walk in closets, 2 additional bedrooms with jack and jill full bath. Upper level laundry. 9' Basement walls and prep for future full bath. Exterior features offer private wooded walk out with deck, seed and irrigation. 102 Campolina St. , Chelsea, MI 48118. From I94 take exit 159 towards Chelsea on M52 (S. Main St.). Take a left on Middle Street, right on Cleaveland St, left on Cavanaugh Lake Road and a right onto Campolina Street. The model home will be on the left. Westchester Farms is about one mile from downtown Chelsea.